The Velusso Balearic Cycling Experience is designed to highlight the stunning riding available on the Balearic Islands of the Mediterranean. Combining sun, sea, landscapes and varied terrains, this experience offers the perfect cycling getaway for cyclists in groups, couples or even on your own. Based out of Velusso’s own Mallorcan Villa, this trip explores three Balearic islands in one week of memorable riding. This trip is perfect for groups of friends, or couples looking to experience more than just your standard cycling holiday to Mallorca. The emphasis is as much on winding down as enjoying the stunning scenery these islands have to offer. This week of sunshine has been crafted to showcase the best sides of the Balearic islands. While the trip is based from the villa in Mallorca, we will also explore the White Island of Ibiza, as well as rural Menorca where time stands still. The villa host and ride leader will take care of all your needs leaving you to enjoy the sunshine and quiet roads. Non riding partners are more than welcome and we’d be happy to plan their days off the bike to be as memorable as those spent on two wheels. 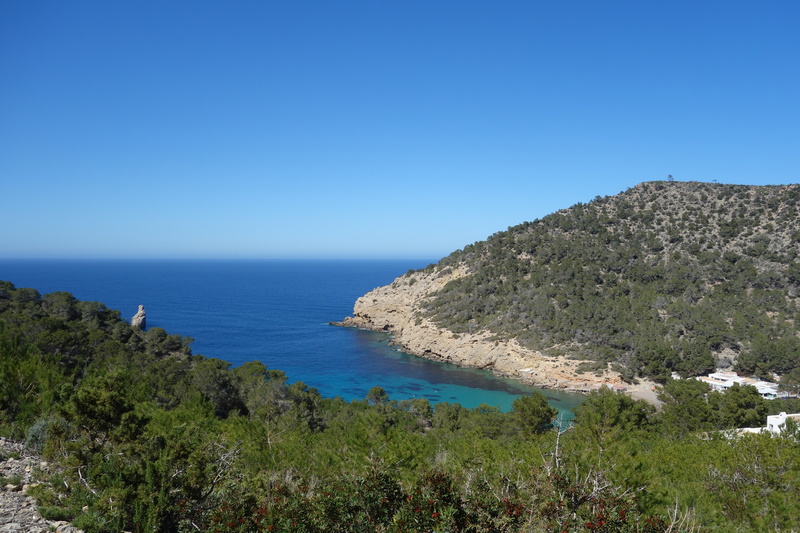 110 km ride to know the lesser known side of the white isle – quiet, rugged roads, peaceful forests and hidden beaches. A rolling route covering most of the island, with option of a shorter route of 80 km – or hit the beach and join the group again in the evening when we get back to the port. We stop for coffee and pastries after getting out of Eivissa city and enjoy a late lunch in one of the picturesque white villages along the route. 130 km ride across the quiet Menorcan lanes. Option for a shorter ride of 70 km, or just stay in one of the amazing beaches for the day. The hills are rolling and a gentle breeze will make even a hot day pleasant. We stop for coffee and pastries mid-morning and enjoy lunch at a unique place offering local produce. This exclusive trip is based from the Velusso Casa Roja Villa. Situated in the La Font foothills of the Tramuntana Mountains, close to the ancient town of Pollença, Casa Roja is a luxurious five-bedroom property. The traditional finca style villa is surrounded by picturesque countryside, with a private garden, swimming pool, and a beautiful outdoor terrace. Find out more about Casa Roja here.